We offer customization services for your survey administered via our Transform™ online survey system. Survey customization starts at $200 and Group Report customization starts at $400. Add your own content to your survey on Transform. We provide a fee-based customization service for the addition of informed consent, demographic questions, and other instruments (including scoring). This can be a huge timesaver – send us your content and we add it to the survey. Your data output file will include responses to all survey items including custom questions. Individual or Group Reports will not include custom question results unless you pay to customize the report (see Group Report tab). Note: We do not offer editing services for added content. See examples of item and format types when you order the free Customization Process Form. 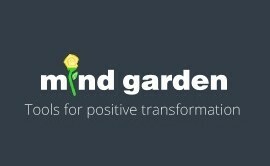 Or check out our blog: Customizing Mind Garden Forms and Reports. *If you are adding a survey not published by Mind Garden, you must (1) provide the full assessment (instructions, questions, and response format), (2) provide evidence that you have permission to use the instrument, and (3) provide accurate copyright information for the instrument. 1. Email us the name of the survey you will customize (e.g., MLQ-360, MBI-HSS) and the exact text/features you wish to add. These materials must be in a text-editable format (no scans). 2. We send you a firm estimate based on this content. The customization cost is separate from the license cost. 3. Pay for the customizations. 4. We complete your custom form within 5 business days. Then we email you a link to preview your survey. For more extensive customizations, this period may be longer. 5. Preview your custom survey and approve or request edits. Your customization payment includes two editing sessions after the first draft; any additional sessions may be charged at a minimum $50 fee each. Excessive edits may require redesign and may be charged at design rates. 6. We email you instructions to complete a live test of your custom survey. In a live test, you view and complete the survey as if you are a participant. This is your last chance to request edits on your custom survey. 7. Purchase Transform Survey Hosting data licenses for the Mind Garden instrument you chose to customize. When you log into Transform, select your custom survey form and follow the directions to set up your survey campaign and invite your participants. The minimum price for survey customization is $200. Total price is based on the quantity and type of content you wish to add. Custom questions range from $10-40 each. We can also add informed consent, non- Mind Garden surveys, and scale scoring for additional fees. The customization price does not include the price of Transform Survey Hosting data licenses. If you are adding multiple items with the same scale structure, we charge $100 for every 25 items. For example, if you are adding 15 items with “Yes/No” response, your cost is $100 because they all use the same “Yes/No” scale structure (do not count this as 15*$10). For example, if you are adding 10 items with the “Strongly agree – Strong disagree” scale structure and 15 items with the “Frequently, if not always – Never” scale structure, your cost is $200 because they use two different scale structures. For example, if you are adding 35 items with the “Strongly agree – Strongly disagree” scale structure, your cost is $200 because you are charged $100 for the first 25 items and another $100 for the next 10 items. If you are adding scoring for 1-3 scales, your cost is $100. If you are adding scoring for 4-6 scales, your cost is $200. ***An external link is used to direct participants to an external page after they submit the Mind Garden survey. Are you conducting unfunded research? Are you interested in using Individual Reports as survey response motivators? You may be eligible for our special offer on discounted Individual Reports – get our reports for as little as $5 each! You must be conducting unfunded research with a custom survey. Contact us for more information. Group Report customization services are available to add text, images, scales, and filtered scores based on your custom survey content. Group Report customization can be a huge help to provide a visual representation of your added items on your custom survey. Note: The custom report can only add data that is collected from your custom survey. 1. Email us the list the features you would like to add to the report. 2. We send you a firm estimate for the report customization. This customization cost is separate from the cost of each report. 3. Pay for the customization. Be absolutely certain of the features you request. Changes made after this point will likely result in additional customization fees (this excludes any text and images you requested in your original order). 4. We complete your custom report (delivery speed varies). Then we email you a sample PDF of your custom report. You can begin collecting data while we build your custom report. 5. Preview your custom report and approve or request edits. Your report customization payment includes two limited editing sessions after the first draft. Extensive edits may require redesign and may be charged at design rates. Individual Reports – each license includes online assessment as above plus Individual Report output. The minimum price for Group Report customization is $400. Total price is based on the type and quantity of features you wish to add. You can use the pricing information below to estimate your report customization cost. The customization price does not include the price of the report. Add demographic count for group location. Participants have the option to select one of 3 locations (Location A, Location B, or Location C) in the survey. Your cost is $50. Add demographic count for occupation. Participants have the option to select one of 16 occupations in the survey. Your cost is $100 because you are charged $50 for the first 10 response options and $50 for the next 6. Add demographic counts for group location and occupation. Participants have the option to select one of 3 locations and one of 16 occupations. Your cost is $150 because you are charged $50 for the group location count and $100 for the occupation count ($50 for the first 10 response options and $50 for the next 6). Filter scores by group location. Participants have the option to select one of 3 locations (Location A, Location B, or Location C) in the survey. This is calculated as 3 breakouts. Filter scores by group location and occupation. Participants have the option to select one of 3 locations and one of 16 occupations. This is calculated as 19 breakouts. The $700 base fee includes up to 9 breakouts. Add $300 for each additional 5 breakouts (up to 24 breakouts), then add $150 for each additional 5 breakouts 25 and up. Mind Garden Group Reports include standard deviation scores for your group for each instrument scale. We offer a 25% discount if you choose to not filter standard deviation scores on orders of 10 breakouts or more. *25% discount applied if you choose to not filter standard deviation scores. Individual Report customization services are available to add text, images, and scales based on your custom survey content.